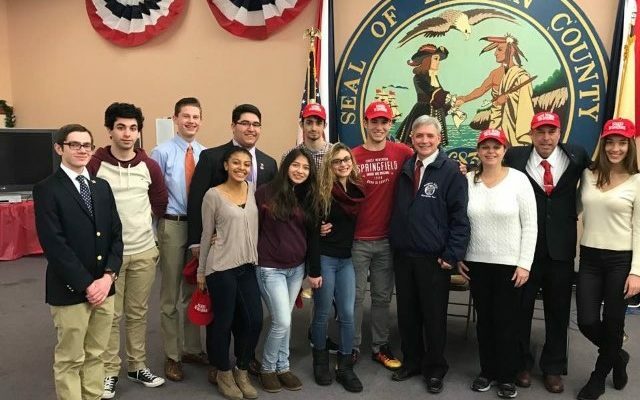 Captain America—a.k.a Steve Rogers—recently visited the Bergen County TARS of New Jersey. That is, the Commissioner of Nutley, NJ and one of four GOP candidates for the 2017 gubernatorial race. The TARS had the opportunity to be interviewed by Commissioner Rogers himself on a Facebook Live video, which can be seen by clicking here. They were asked about their concerns for New Jersey and what they hoped for in the campaign while speaking before a live audience. Since it was broadcast, the video has had over two thousand views. New Jersey is one of the only two states that have a gubernatorial election this year. The other is Virginia. Will Captain America be elected to make New Jersey great again? Steve Rogers is one of four Republicans running for governor. There will also be legislative elections for the NJ General Assembly and Senate. After such a successful 2016 race, Republicans across the country are motivated for the future. That momentum must be maintained throughout the year, especially in a state primarily run by Democrats.